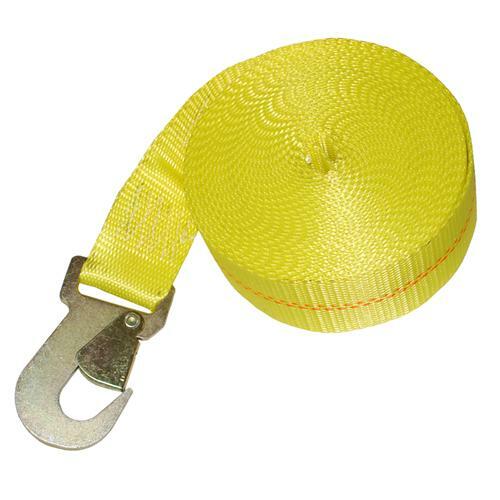 The Assembly Working Load Limit of this strap is dependent on your hook choice. These winch straps with Flat Snap Hook are great for use in the flatbed trucking industry as well as for other uses. These straps can be used with a 2” Ratchet. These winch straps are custom made to your specifications. You can choose the webbing color, length, and type of flat snap hook on this strap.